Dassault Aircraft Services satellite service centers support Falcon aircraft with a variety of services. 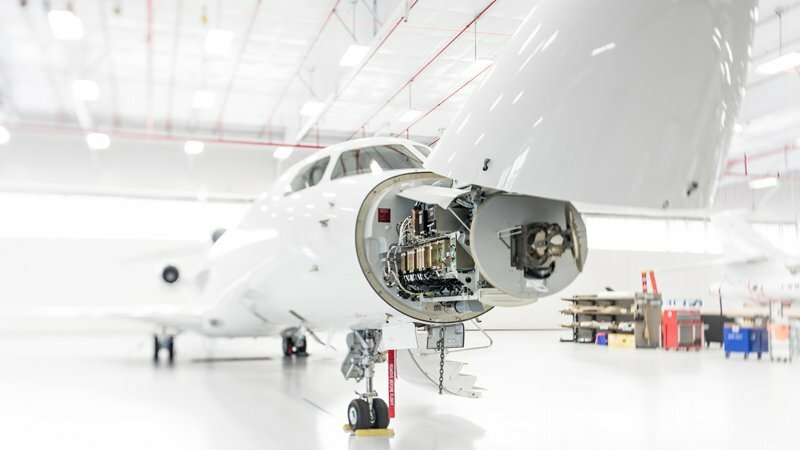 The Stuart service center is authorized to perform up to the “36 Month” inspection on the Falcon 50, 2000 and 900 families of aircraft as well as the Falcon 7X and 8X. It houses US $1.5 million in tooling, equipment and genuine Falcon spare parts. A Falcon AOG ‘GoTeam’ is also located at the facility providing rapid mobile response directly to an aircraft location with the parts, tooling and personnel necessary to fix an aircraft with minimal delay.